A frozen berry mixture sold at Costco in San Luis Obispo has been linked to Hepatitis A and a recall of the bagged berries has been initiated. 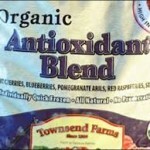 Townsend Farms voluntarily recalled packages of its Organic Antioxidant Blend after 34 cases of Hepatitis A were reported in California, New Mexico, Arizona, Nevada and Colorado. Over the past month, 244 bags of the berries were sold at the San Luis Obispo Costco. People who have not been vaccinated and ate the berries within the past two weeks should ask their health care provider for the vaccine. If the berries were digested more than two weeks ago, the vaccine is not likely to protect against the disease. Symptoms for the contagious liver disease include fever, fatigue, loss of appetite, vomiting, dark urine and abdominal pain. Persons who suspect they may have contracted the virus should seek treatment immediately. I heard that the pomogranites in the mix came for Egypt. Could this be a soft biological warfare or just another caution with the international market? Buy USA made, grown and everthing else. Remember they have flown our planes into our buildings and now there is a possibility that we are spreading their germs too. Perhaps they should use a more “inorganic” means of harvesting and packaging the berries. Unfortunately we eat those berries all the time. I looked at the symptoms above and just thought it was old age. Anybody got a spare liver? Just wait, we’re on our way to NHS-level healthcare, so perhaps your neighbor will provide his! and then retain an attorney. Maybe those handling food stuffs should wash their hands? …and use the porta-potties instead of the field. Well, maybe organic isn’t always better for you.